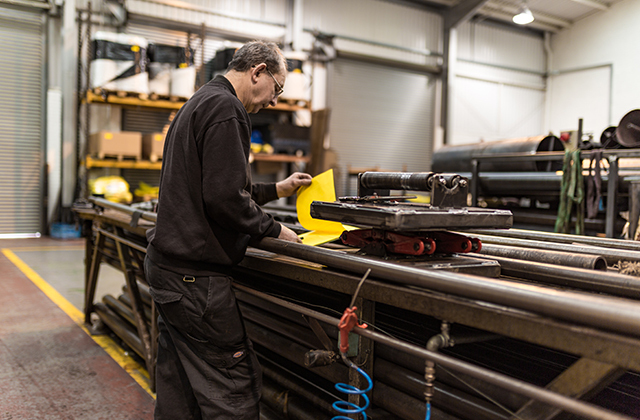 As a leading manufacturer of ISO 9001 accredited rubber sheeting products for over 46 years, the team at Aquaseal know the importance of consistently delivering high quality products and solutions to a wide variety of clients. We have one goal in mind – being able to supply you with a rubber sheeting solution which allows your operations to function effortlessly. Over the years, we’ve honed in on several specific types of rubber sheeting that we manufacture and offer in order to meet the needs of our clients. So, which type of rubber sheeting is going to be best for you? Well, that depends entirely on the industry you operate in, and the type of function the product will be expected to carry out. As pipes age, they can fall foul to wear and tear such as rust, corrosion, leaks, and dirt build-up. Replacing extensive pipework – especially in difficult to access areas such as underwater or in dangerous environments – can be a costly and time-consuming task. Using rubber sheeting from Aquaseal as a pipe insulator not only provides you with insulation against gas, fluid, or liquid leaks, but also acts as a preventative measure to ensure that your pipework is protected against damage. The type of rubber sheeting you choose will depend on what flows through the pipework you wish to insulate. Neoprene rubber sheeting, for example, offers extreme temperature resistance and a weather-proof insulate for pipes carrying dangerous gases, fluids, or liquids. For application in the manufacturing industry, rubber sheeting is universally useful. Rubber sheeting from Aquaseal can be bonded to specially prepared surfaces within the manufacturing plant. Doing this will ensure that equipment within the facility can withstand aggressive applications and process conditions, and offers the option of easy lining replacement at the end of the product’s service life. Aquaseal supply a variety of rubber sheeting solutions for use as rubber linings in your process plant. Neoprene and Nitrile rubber sheeting in particular is a fantastic way to provide chemical resistance, as well as product protection, thanks to its versatile set of properties. In some cases, you may find that your application benefits from natural rubber sheeting. At Aquaseal, we are conscious of our impact on the environment, and we’re always looking for newer, more sustainable options for rubber production. Using natural rubber means we’re helping to increase the percentage of renewable resources used in our production process – unlike synthetic rubbers, natural rubber plants can be replanted and nurtured to ensure sustainable company processes for years to come. Rubber is an exceptional electrical insulator, meaning rubber sheeting is popular in applications where electrical wiring requires insulation. Ethylene Propylene Diene Monomer (EPDM) rubber sheeting is a great choice for applications of this type – it features excellent dielectric ability, meaning it can be polarised to provide a safer electrical casing.